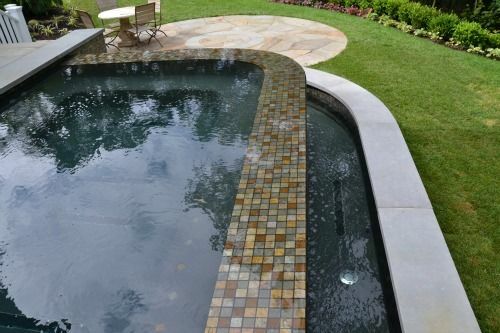 Truly unique and innovative swim spa, built into an expansive deck space. 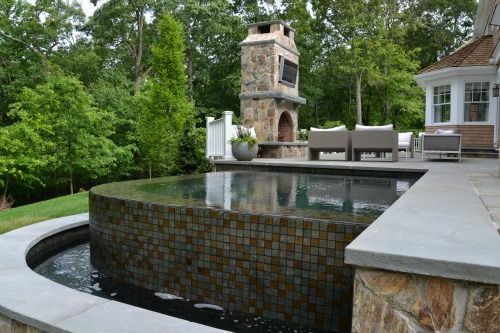 Glass tiles and an infinity edge make this spa an international award winning design. 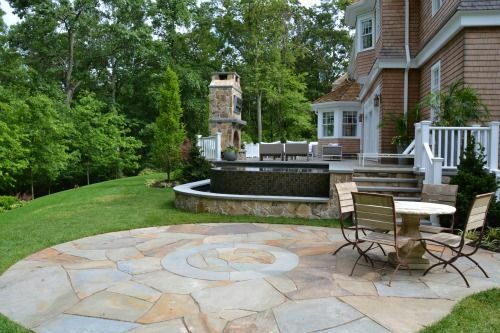 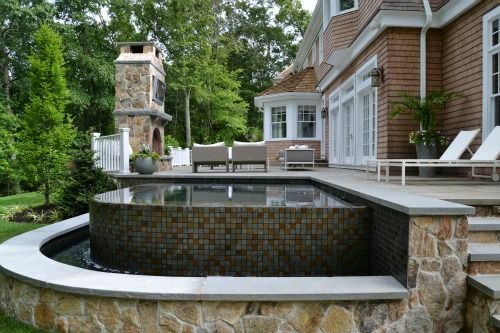 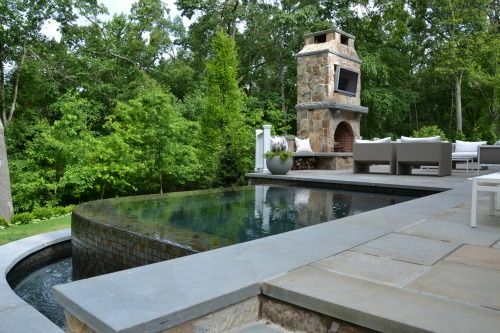 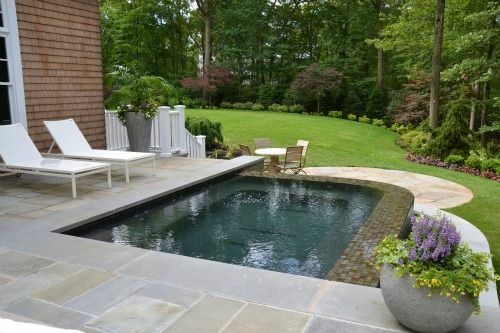 This elaborate custom design spa is built into the backyard patio area. 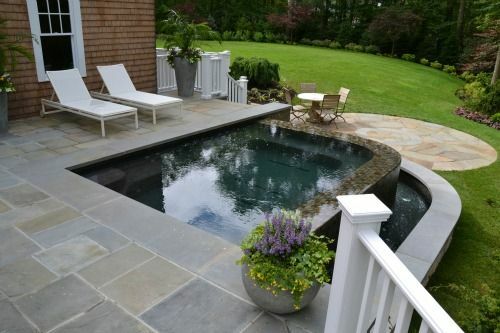 It allows for spacious seating and can be enjoyed all year round. 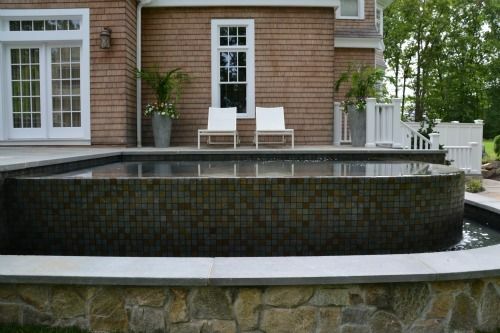 The glass tiles add a level of elegance and create a truly unique and breathtaking residential spa design.